Do you ever feel like your kids are driving you nuts? What I mean is… do you have days where it feels extra difficult for your kids to entertain themselves? I run into this a lot working from home full-time, especially while my daughter is out of school. Some days my kids easily occupy themselves by playing, drawing, etc. Other days they need help finding an engaging activity. Lucky for them, I received a copy of The Unofficial Guide to Learning With LEGO: 100 Inspiring Ideas eBook for review. 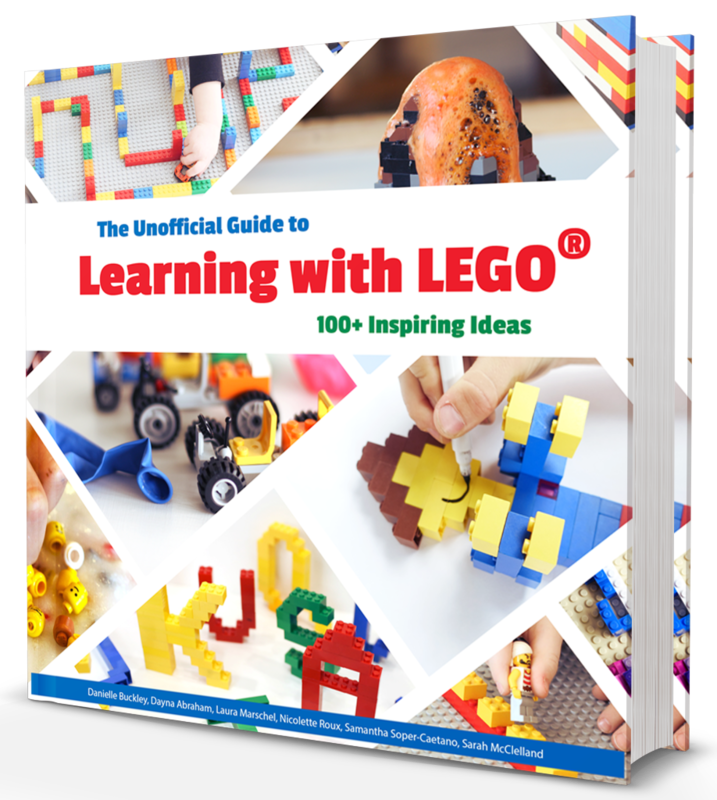 The second step is getting The Unofficial Guide to Learning With LEGO®: 100 Inspiring Ideas book. 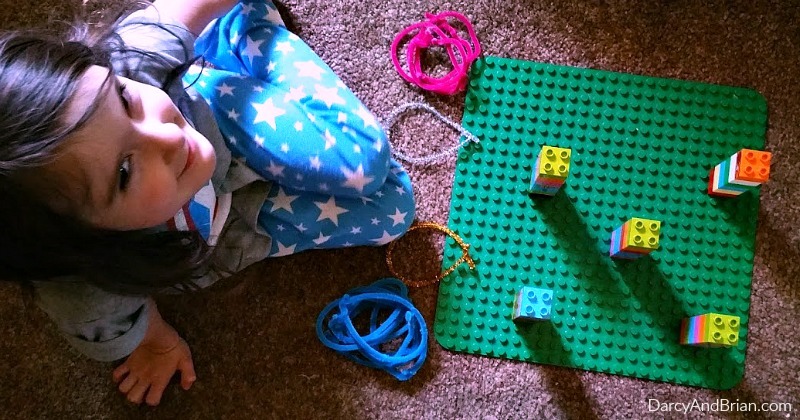 With over 100 LEGO® activity ideas, you can keep the kids busy for months without repeating. The third step is to let your kids pick an activity. I find they are more cooperative when it's “their idea” rather than being told to do a specific one – no matter how fun it is! My daughter was thrilled to set up DUPLO Ring Toss by herself. 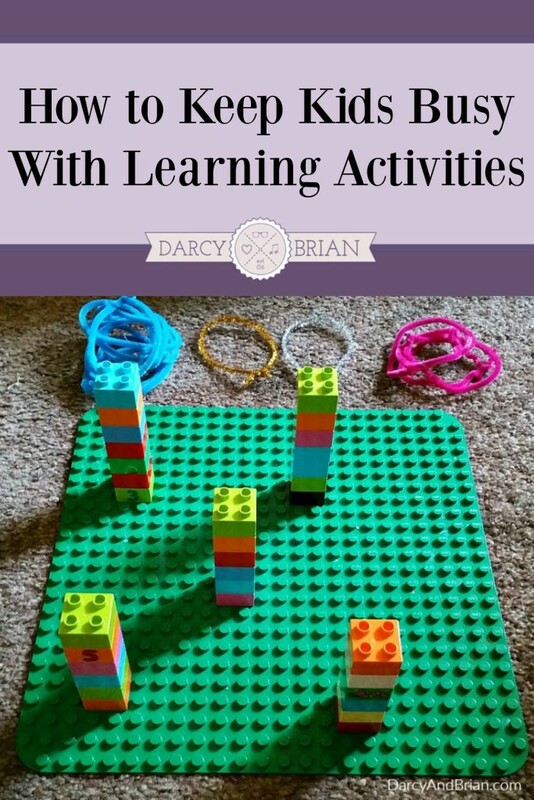 She practiced counting to ensure they were at least five or six bricks tall as well as spacing the towers apart. Rissa also was in charge of making the rings out of pipe cleaners. To mix in some physics, she also attempted to throw other items, such as a jelly bracelet and a stretchy necklace. The kids took turns trying to land a ring on a tower from varying distances too. Being too far away was harder, while being too close was super easy. I love the range of skills covered in this book. Colors, sorting, and counting are ideal for my three year old. Math, science, and reading are challenging enough for my ever curious five year old. None of the ideas are considered too babyish by my oldest. 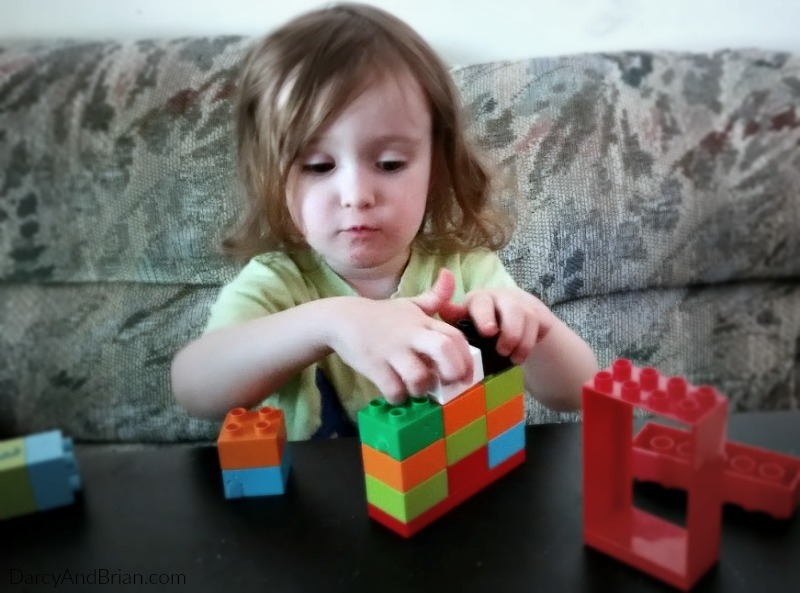 Playing with LEGO® bricks is fun no matter what! I only need to be careful not to set up something too difficult for either of my kids to do on their own. 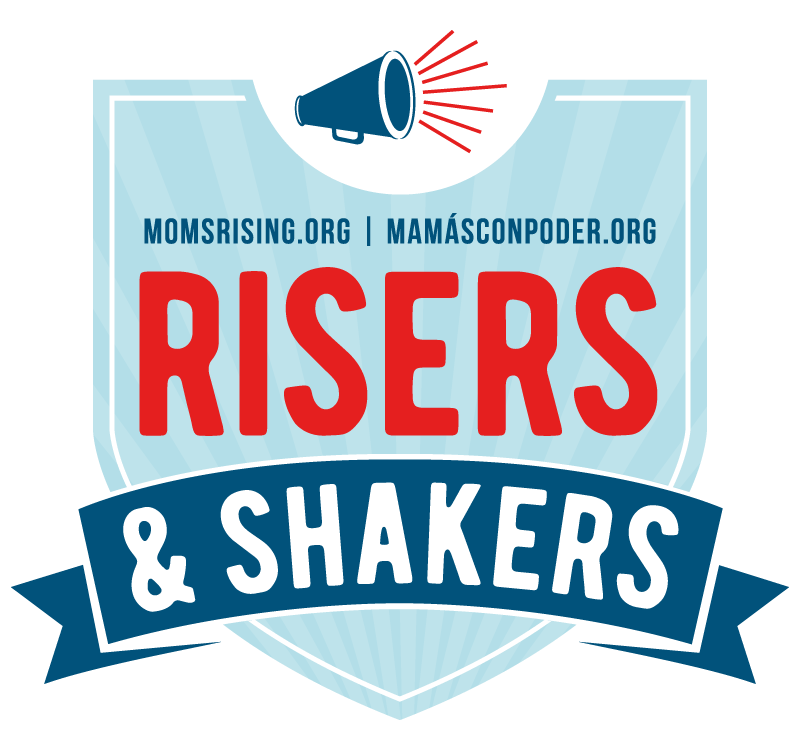 Now you can find plenty of ways to keep kids busy while you get things done. 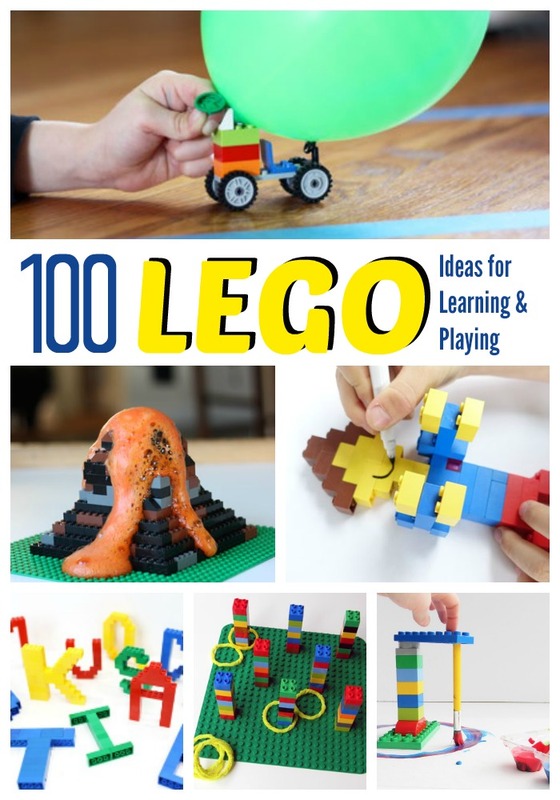 The Unofficial Guide to Learning With LEGO®: 100 Inspiring Ideas book is full of boredom busters for rainy days and snow days! Also available as an eBook that you can purchase and download now. Notice: LEGO® is a trademark of the LEGO Group of companies which does not sponsor, authorize or endorse this site. This looks like so much fun! I would totally take part in the activities in this book alongside my kids. How cute is that ring toss? Ahhh… Loving it. Thanks for sharing with us at Merry Monday this week! There are so many fun activities! I can’t wait to do more of them with the kids. Thanks, Marie!